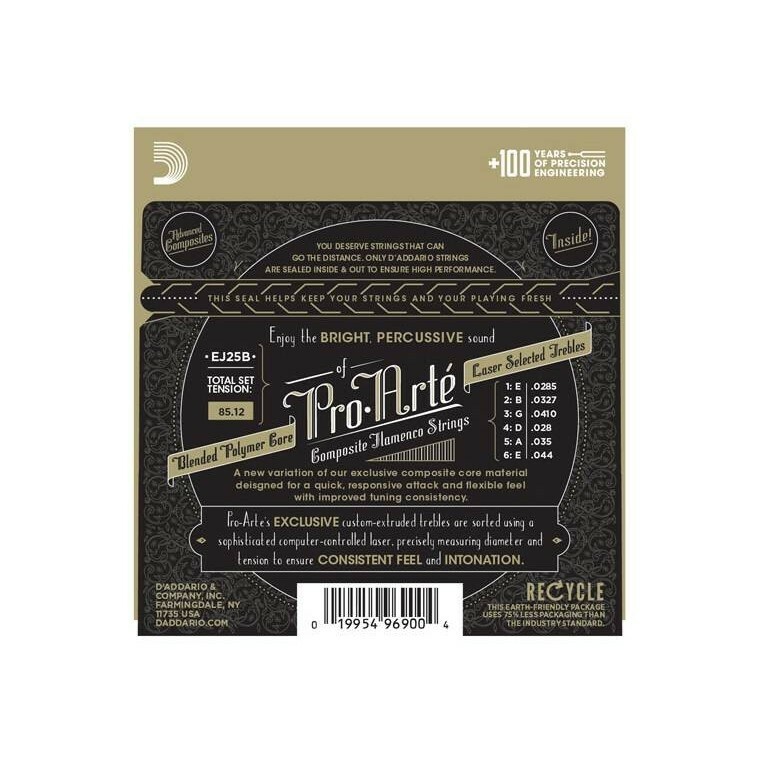 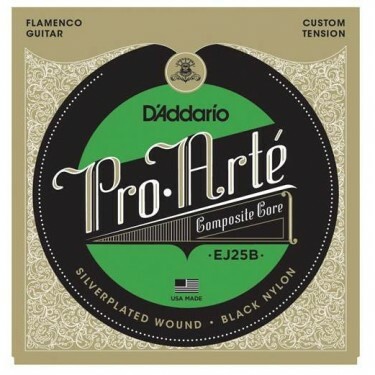 The D'Addario EJ25B Pro-Arté Black Nylon Composite Flamenco guitar strings are constructed using a new variation of exclusive multifilament stranded core material that dramatically improves the life and tuning consistency of the wound strings when compared to traditional nylon cores. 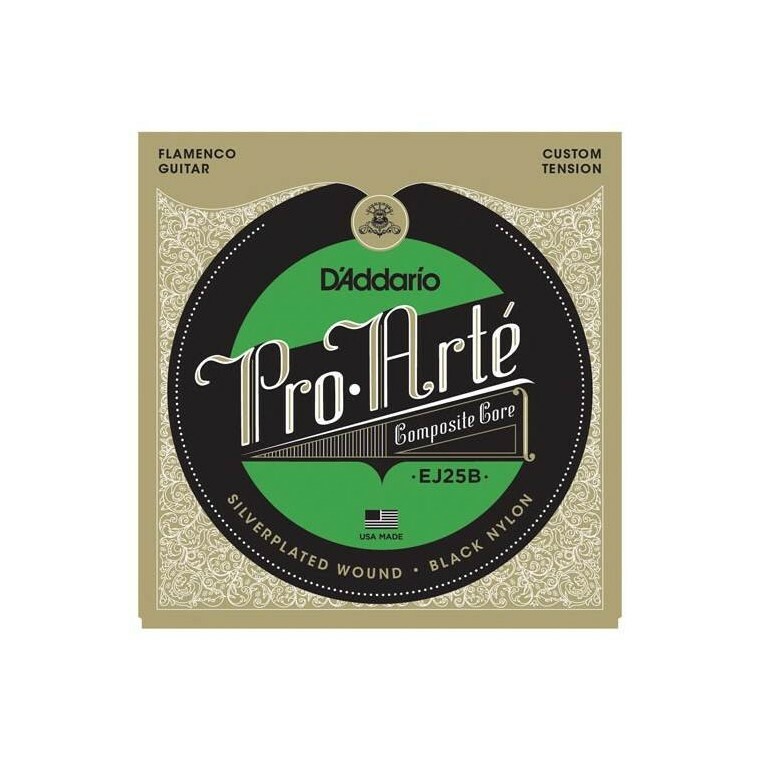 Complimented by black nylon trebles, this set was created and tested with artists worldwide to deliver a flexible feel while still maintaining a quick attack response that is essential for flamenco players. 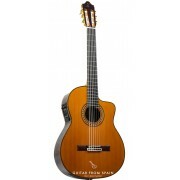 This Flamenco guitar strings set is also available in a clear nylon version (EJ25C), providing tone and appearance options for both traditional and progressive players.